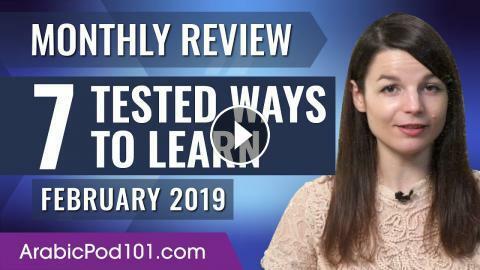 This is your Arabic Monthly Review, in this video not only we will give you 7 tested, timeless ways to learn Arabic, but you will also discover what are the resources you can get for free on ArabicPod101.com! If you are an absolute beginner Arabic learner, this video is made for you as we give you the best learning tips and strategies. This is THE place to start if you want to start learning Arabic.